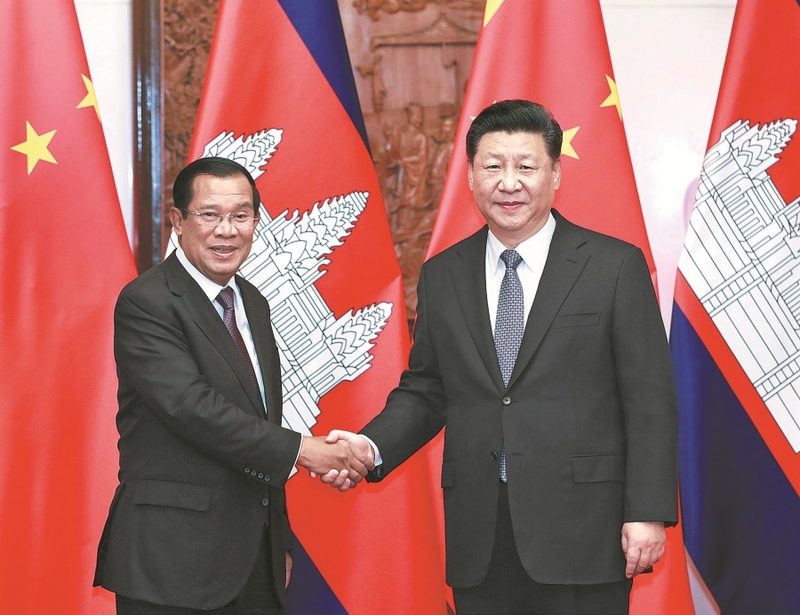 China and Cambodia should speed up connecting the Belt and Road Initiative with Cambodia's development strategy, President Xi Jinping said on Monday. The two countries should advance cooperation in five major areas — transportation, production capacity, energy, trade and people's livelihoods, Xi said. The president pointed out that China supports Cambodia in upholding a development path that fits the country's own situation. Hun Sen told Xi that he visited a major exhibition of China's reform and opening-up achievements in the past 40 years, and that he was deeply impressed by China's achievements. He said he's glad to see that the Cambodia-China traditional friendship and comprehensive strategic cooperation have been strengthened continuously. The Cambodian prime minister expressed gratitude for China's support and help for his country.